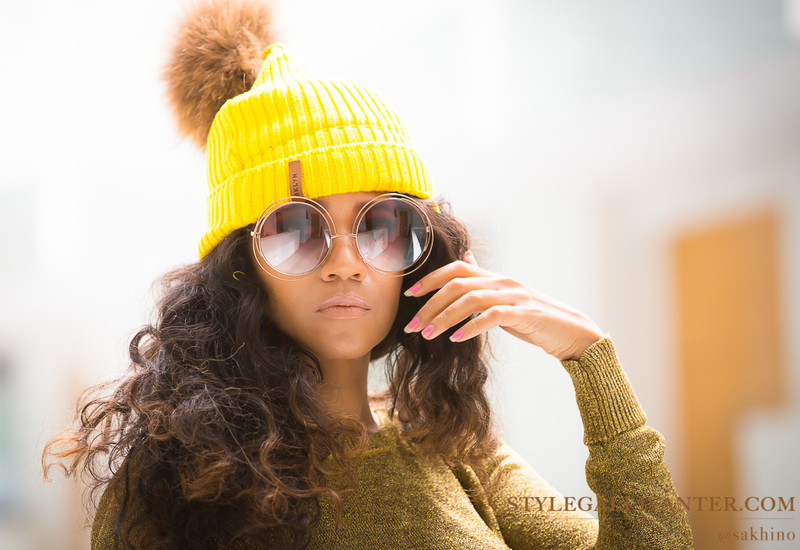 If you’ve had your fashion eyes open the past few years, you’d know that bobbles / pom poms have somewhat been trending as a must-have accessory. 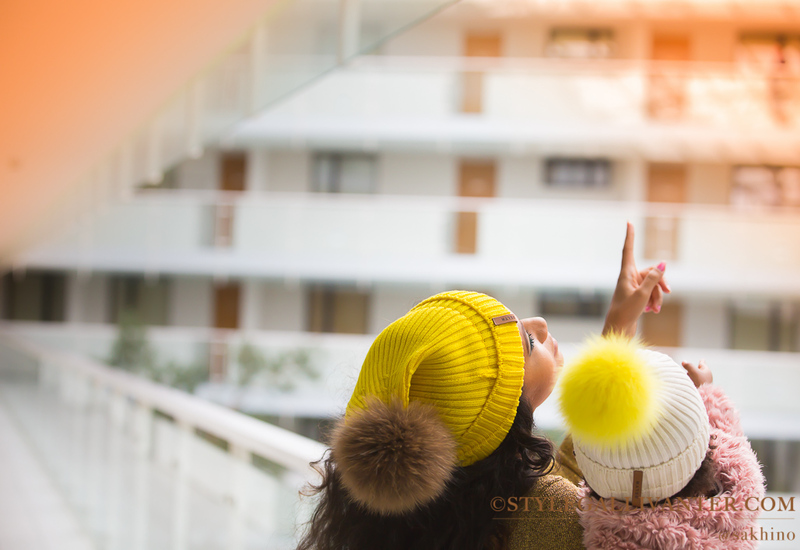 Whether it was on bags, shoes, earrings, e.t.c – bobbles have been everywhere, and they are not quitting any time soon. You gotta admit though, these are right up there in the fun factor when it comes to accessories! 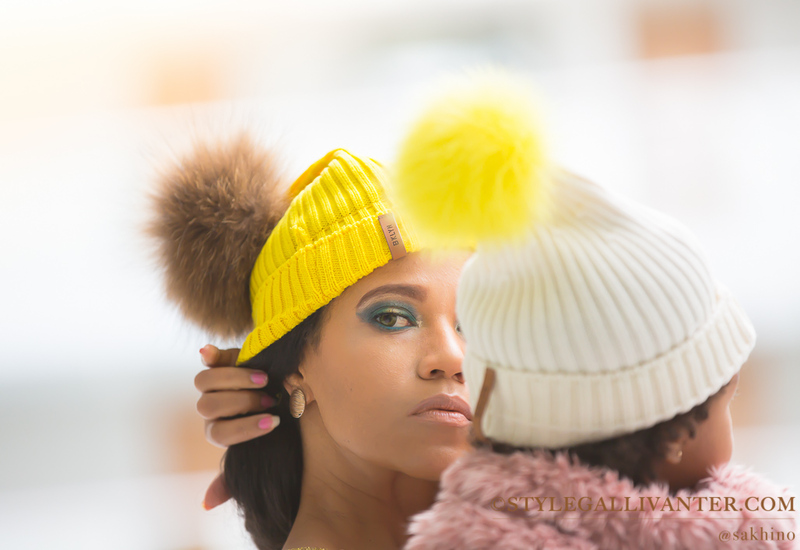 That is why we just had to jump on in the pom pom wagon, as can be seen here twinning with Bunny Bear in our BKLYN bobble hats. 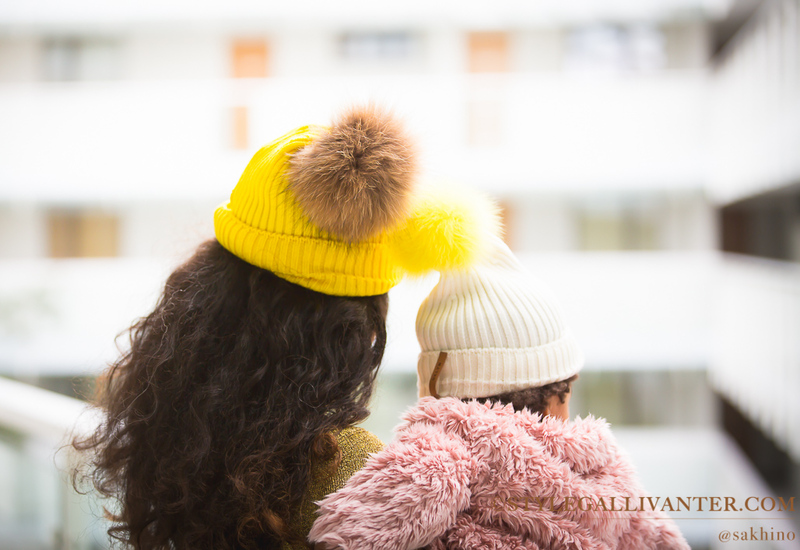 These luxurious Bobble Hats are made using the finest Italian merino wool, which ensures that they are not only super soft to touch, but the natural fibres are also gentle on your hair. 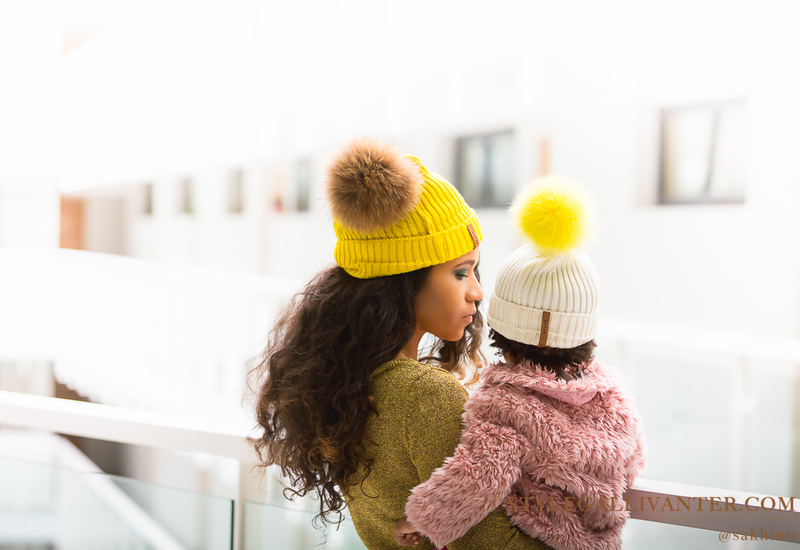 The Pom Pom’s come in a wide range of colours, so you can rest assured that there will be a colour combination to suit all tastes and with these mix and match option you can choose your very own. What I love though is that these pom poms clip on and off… so they can easily be removed or interchanged. (P.S. My hat came with the yellow pom pom, so I just swapped them). Very cute and convenient, right? Right. Now we have no excuse whatsoever not to winter in style. Not only that, but bad hair days will be so much more stylish now… #winning!